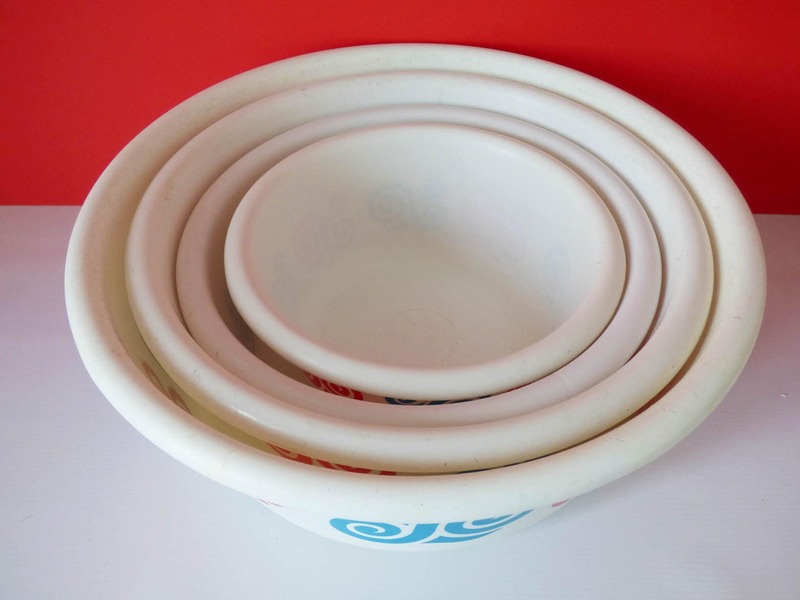 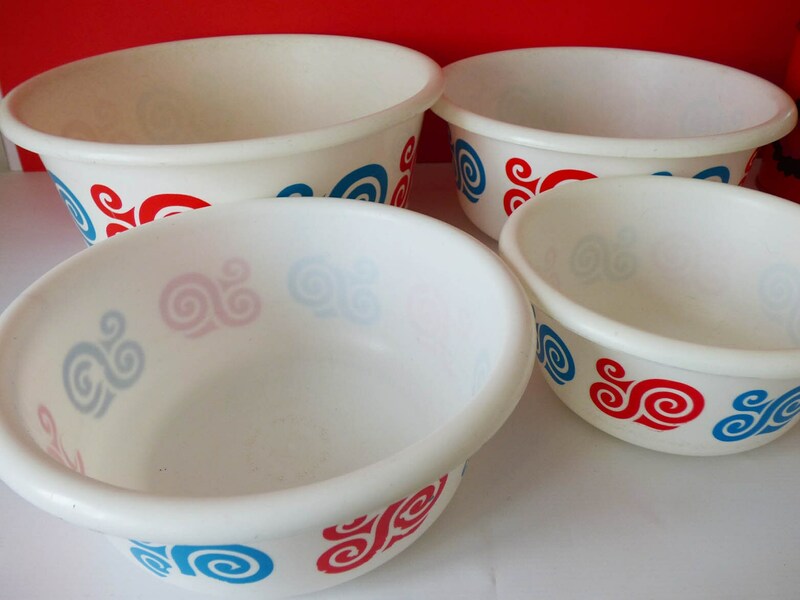 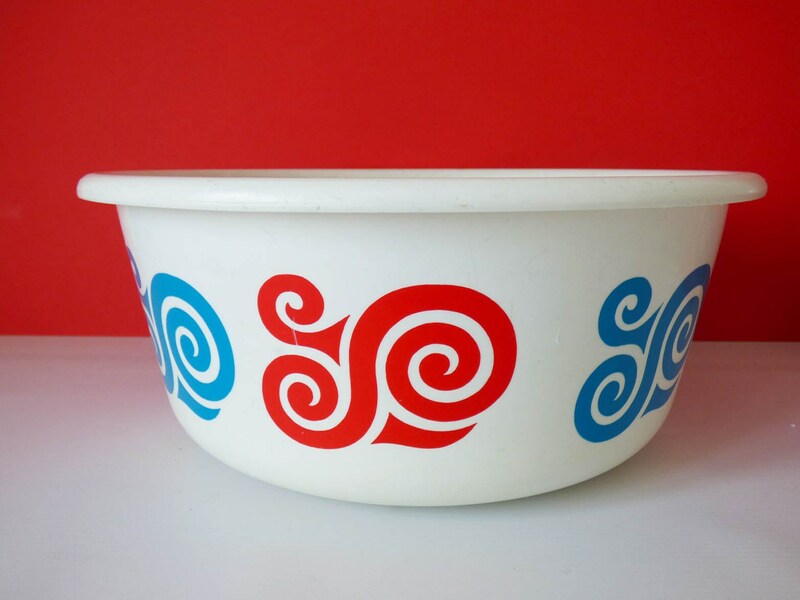 A set of four large plastic bowls, created in 1969, the biggest is the size of a washing up bowl, there are four in total which nest neatly inside each other, these are perfect for camping trips, glamping, outdoor cooking, and general household purposes. 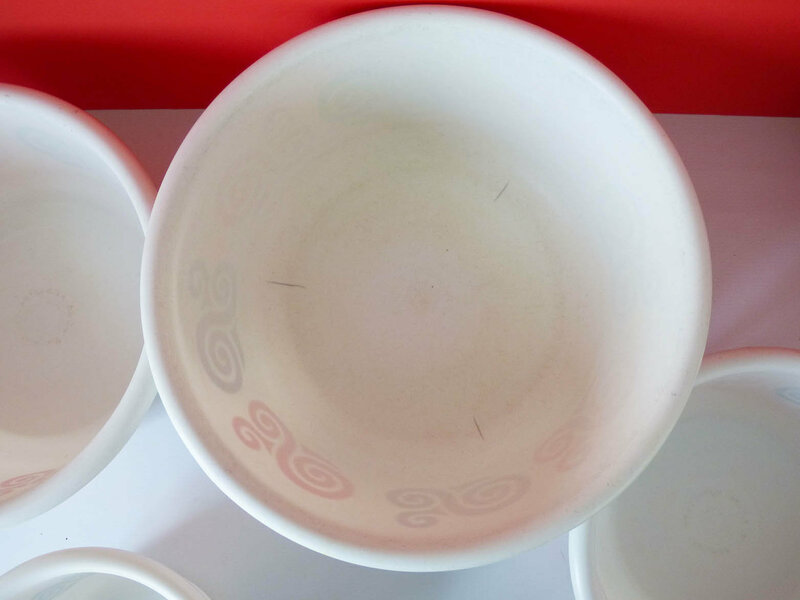 The condition is good, but these bowls have been used, and do show signs of age, They originally came for Holland, the largest bowls has a diameter of 31 cm, and is 13.2 cm tall, there are 3 hairline cracks to the base,(see photos.) 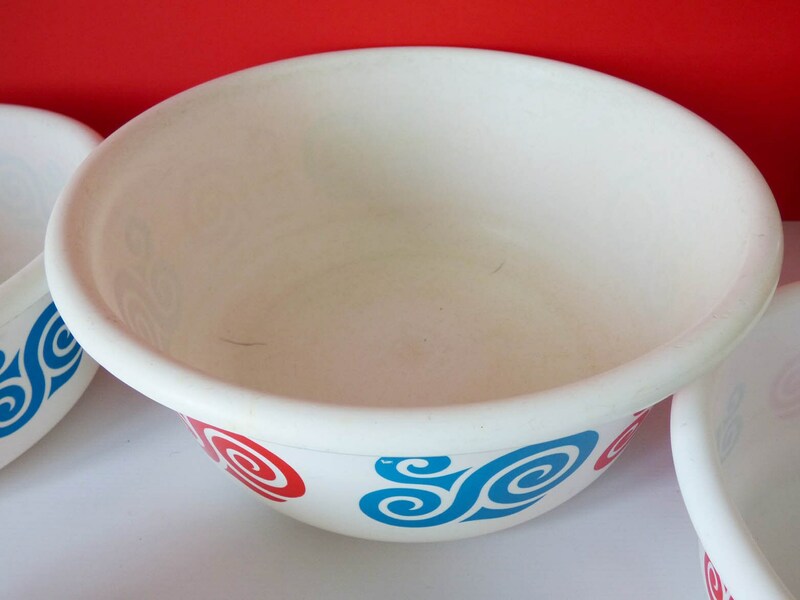 I have filled the bowl with water and it does not appear to leak, but this is certainly a flaw, which is worth mentioning. 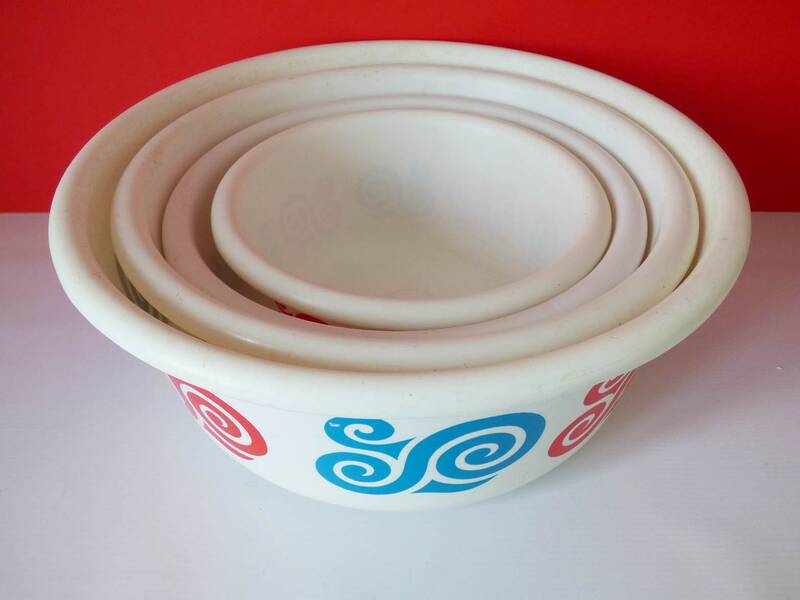 The 2nd largest bowl has a diameter of 27.5 cm and will hold 4.5 litres. 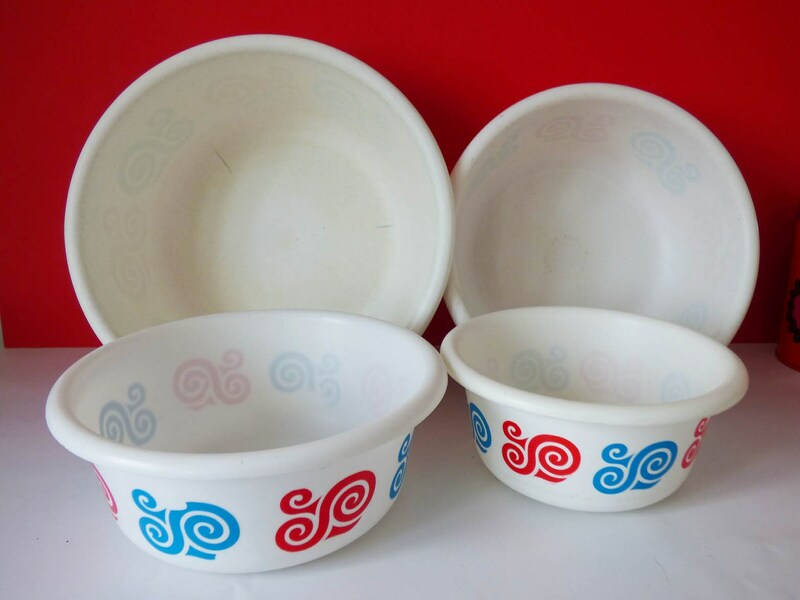 The second to smallest bowl has a diameter of 23.5cm and the smallest bowl is 19.5 cm in diameter. 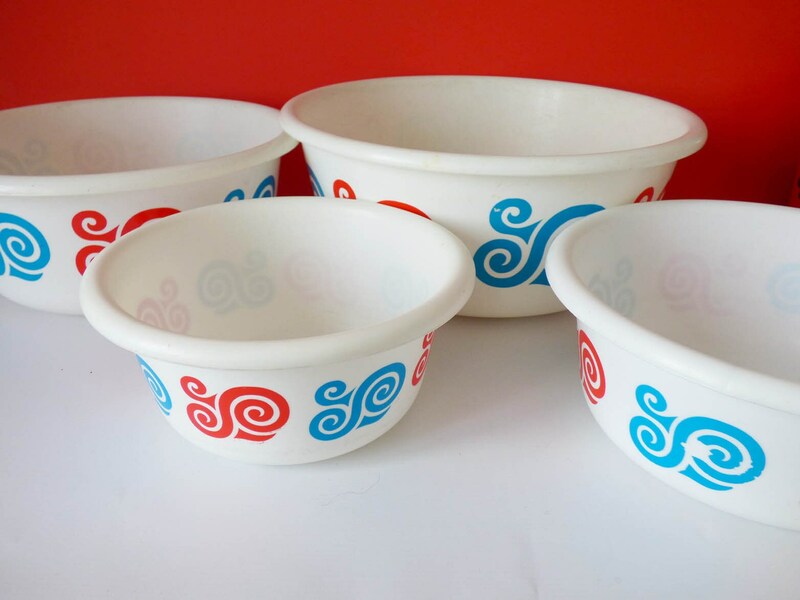 Each bowl is marked to the base 1969, some have the makers mark. 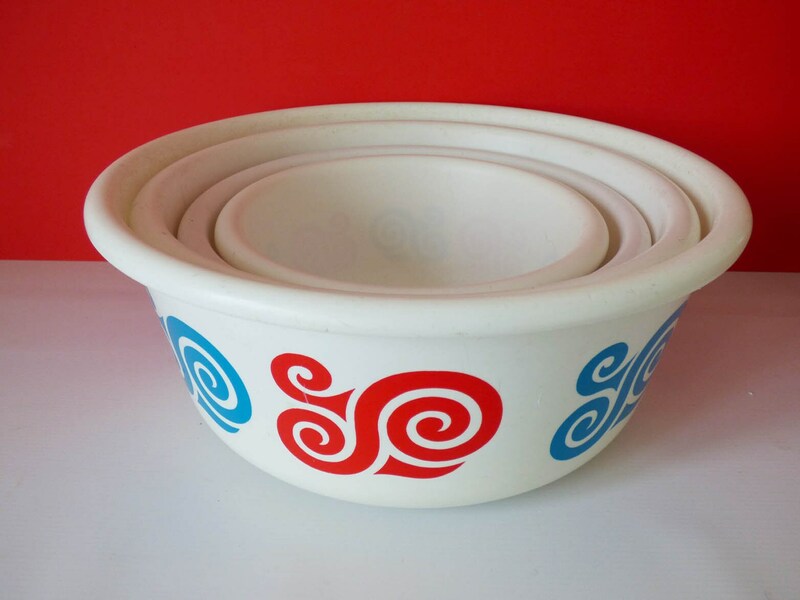 "Mauser"
These really are adorable, great for camping trips, or just very useful around the home. 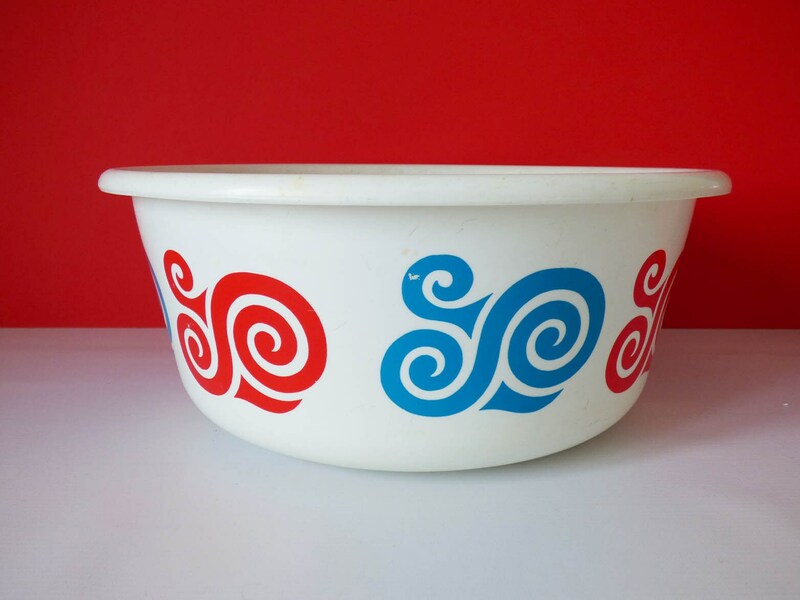 Due to the size of this item, it is only available to Uk customers.